Communicate with other local devices without any Internet support using BLE, Bluetooth and Wi-Fi Direct. Thali takes care of offline/online syncing by replicating JSON data and binary attachments. Your Phone is a Web Server! Write your web interface using Cordova and run your Node.js server code on iOS and Android. To demonstrate the Thali Cordova plugin we created the Postcard app which sends messages or 'postcards' across mobile devices equipped with Smart Bluetooth. Postcards can be added, updated and deleted and any changes will be automatically synchronized across devices. 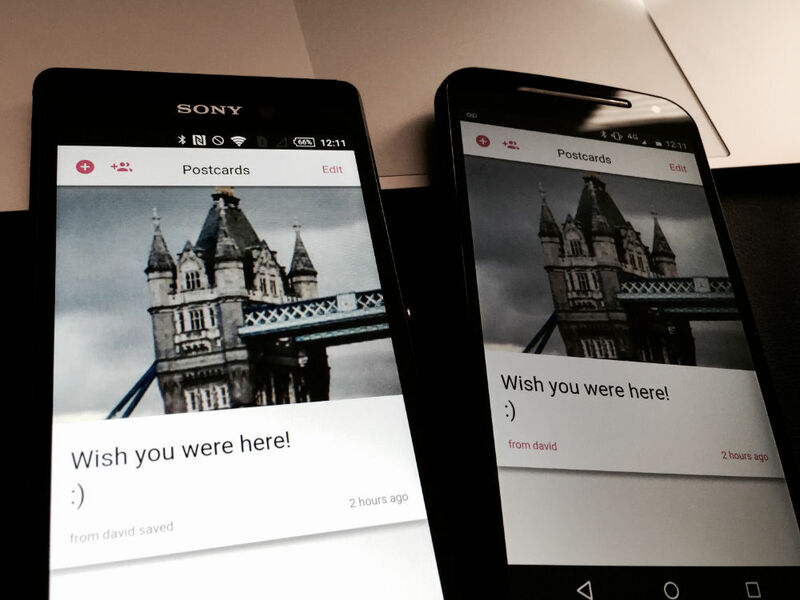 Future plans for Postcard app are available as part of Thali developer stories. Watch video of Postcard app showing Cordova plus Node.js all running on Android plus local peer to peer communication over BLE and Bluetooth to share content between phones. Why would anyone want to use Node.js on a phone?